Recent cases indicate that Indian courts are taking an increasingly pro-arbitration stance by refusing to interfere in arbitral awards on merits. The year 2018 has been quite eventful as far as the arbitration scene is concerned with several landmark judicial pronouncements coming on various issues governed by the Arbitration and Conciliation Act 1996 (to be referred as the Arbitration Act hereafter). The arbitration laws in India have been made more and more flexible with time to attract international parties to choose India as their preferred seat for international arbitration. Let us take a look at some of the recent and significant judgements, which had a positive impact on the arbitration regime in the country. Most of these cases show that more and more Indian courts have refused to intervene with the enforcement of the arbitral awards, including those in international arbitrations. Such a stand is slowly but surely pushing the arbitration regime towards a pro-arbitration environment by imbibing the principle of non-intervention of the courts in the arbitration procedure. In the recent case of Kandla Export Corporation versus OCI Corporation, the court had to deal with the issue of whether the right to appeal under Section 13(1) of the Commercial Court Act applied to Section 50 of the Arbitration Act or not. The Supreme Court ruled that Section 13(1) of the Commercial Courts Act was a general provision vis-a-vis arbitration relating to appeals arising out of commercial disputes, and thereby, it would not apply to cases unless they are expressly covered under Section 50 of the Arbitration Act. The apex court relied on its earlier decision in Fuerst Day Lawson v Jindal Exports (2011) 8 SCC 333 wherein it had laid down certain broad principles clarifying that in case a special statute is a self-contained code, the applicability of the general law procedure would be impliedly excluded. With the coming of the Amendment Act, the most debated topic was whether the new amendments were to apply retrospectively or prospectively. The controversy was finally put to rest by the Supreme Court with its judgement on the Board of Control for Cricket in India versus Kochi Cricket, pronounced on March 15, 2018. In this case, the court held that the law, as amended by the Amendment Act, would apply to those arbitral proceedings which commenced on or after October 23, 2015, and would apply to those court proceedings (related to arbitration), which commenced on or after October 23, 2015. The Supreme Court also said that the amended Section 36 of the Act would apply even in cases where an application for setting aside the award was filed before and was pending on October 23, 2015, the date of commencement of the Amendment Act. It observed that execution was a procedural (not substantive) matter and, therefore, the 2015 amendment could apply to extant challenges. In the case of NHAI versus Bsc-Rbm-Pati Joint Venture, the court, in a very pro-arbitration stance, noted that the tribunal was the final arbiter on factual and legal issues and that errors "which stop short of perversity" must not be interfered with by the courts. As long as the tribunal's view was "plausible, and not merely possible", the court would not intervene. The court finally observed that there had been many cases where awards were challenged just because the award debtor had the financial power to do so. It was concerned that a majority of these challenges were made by public corporations and contributed to a "docket explosion" at the court and wasted valuable judicial time. The court also observed that arbitration had been effectively reduced to a civil trial, with parties challenging awards as a matter of course. A very important case that established the pro-arbitration credentials of the Indian courts was the case of Delhi Metro Rail Corporation versus Delhi Airport Metro Express wherein the dispute arose between DMRC, a state-owned corporation, and DAMEPL, which had entered into a public-private partnership for the construction and operation of the metro railway. DAMEPL, however, terminated the agreement when DMRC allegedly failed to cure defects in the civil works within the notice period. DMRC disputed the validity of the termination, and the adjusted equity and termination payment costs demanded. The tribunal passed an award, upholding DAMEPL's termination and awarding it damages. DMRC made an application to set aside the award under Section 34 of the Act in March 2018. The court observed that it "does not sit as a court of appeal and is not expected to re-appreciate the entire evidence and reassess the case of the parties". The court also noted that its duty was to see whether the view of the tribunal was a plausible view on the facts, pleadings and evidence placed before it. If it found that there were two possible views and the tribunal had taken one of them, the court could not substitute its judgement for the judgement of the tribunal. In the case of Daiichi Sankyo Company (petitioner) versus Malvinder Mohan Singh, the Delhi High Court, once again in a pro-arbitration move, refused to intervene in the enforcement of the foreign arbitral award and upheld its enforcement by observing that Section 48 of the Arbitration Act does not allow the court to reassess the correctness of an award on merits or re-appreciation of the evidence. The high court held that it could not go into the finding of fact recorded by the arbitral tribunal. 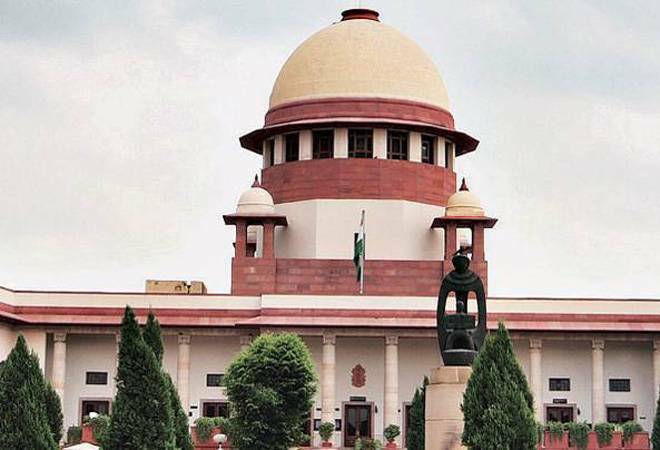 It also continued its pro-arbitration stance in the case of NTPC versus Jindal ITF and Ors wherein it held for the first time that the interim relief petition be listed as an enforcement petition itself and accordingly, the court directed the other party to pay Rs 197.81 crore, the amount passed by the tribunal as interim relief. The approach of the Judiciary in interpreting Section 17 of the Act has been appreciative and supportive of parties and ADR mechanisms. These cases indicate that Indian courts have now taken an increasingly pro-arbitration stance by refusing to interfere in arbitral awards on merits. It is especially required since India has not always kept up with international best practices. However, the last couple of years have witnessed a huge positive change in the arbitration regime. With the pro-arbitration approach of the courts and the Amendment Act in place, there is cause to look forward to the best practices being adopted here very soon. Exciting times are ahead of the Indian arbitration jurisprudence as our courts are ready to take on matters dealing with the interpretation of the Amendment Act.